Need some stress relief tips? Are you searching for stress relief tips because you feel stressed in your daily work and life? Do you feel overwhelmed and tensed? Yes, we need to agree that we are all leading very busy lives these days. The devices and tools that were meant to make our lives easier, also make it tempting to do more and more each day, leading us to a state where it has become difficult to relax and focus. 20 years ago, if we were working as an expat in a different country and needed an answer from the headquarter, the postal letters would take weeks, a telephone call was not easy to set up, telefax was not yet invented, and a telegram had to be kept short. And so, we were often asked to either wait, or take our own decisions. Talking face to face to your colleagues and customers was normal, and once you went home, work was over. Nobody was reachable 24/7 and expected to read emails on weekends! In the days of smart phones, emails, skype and what’s app, everyone is just a touch away, and we are constantly tempted to act faster and faster, and hence are now looking for stress relief tips. What we need to understand is that the factors, which then lead to stress, are not the ones coming from outside, and we should not use them as an excuse. Stress arises from inside, from how we let these things get to us. We can maybe not change the way the office world has become, and in many ways, the new technologies really have made our lives – private and work lives – so much better. But we can decide how we deal with these new developments and how much we let ourselves be stressed by them. Really, how will horses be able to help me here, you must be wondering? 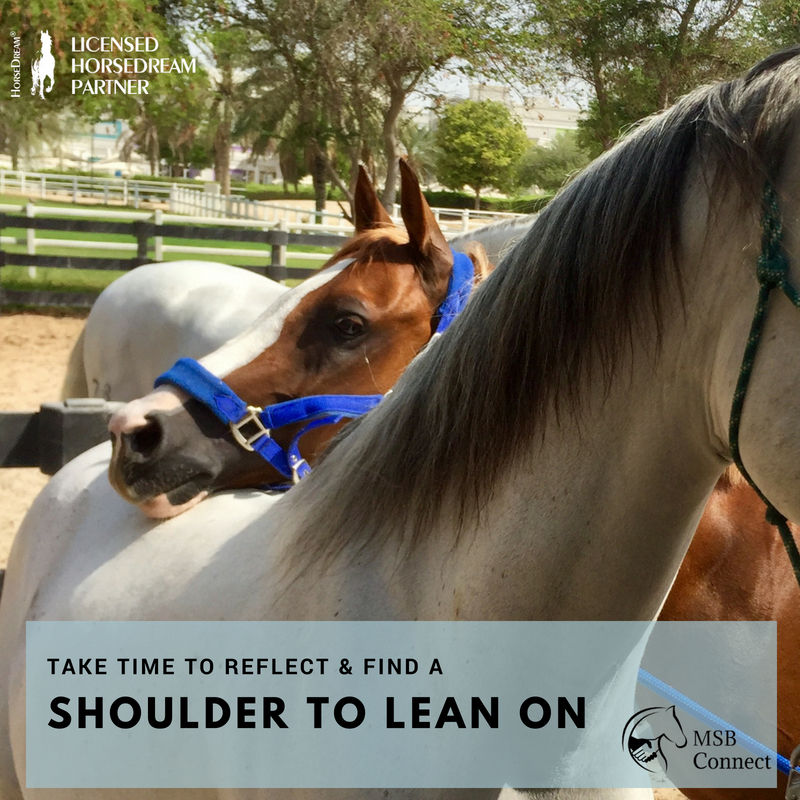 What have horses and stress management in common? Indeed, they don’t lead the kind of lives we do. In their natural world, they have no idea what our lives look like. What the horses are really good at is to hold up a mirror and let us look inside this mirror. They will show us why people around us act the way they do, why it is always us staying late in the office, or maybe why we can’t get that job we want, the promotion we want. If we can understand which of our behavior is holding us back, we are able to take the necessary changes that will help us cope better with our lives, and reduce our stress levels. Maybe you are afraid that others might get upset if you say “no”, and so you are always the one who ends up doing the work or taking the difficult tasks? Or maybe the communication within your team is not very effective, and so there are unnecessary errors happening which upset everyone? If your team is not finishing their work before the timeline, because you were not pushing enough, are you then the one taking the work home to get it finished? Are you scared to ask for a pay rise and therefore not getting it? It is important that we look for the reason why something is happening to us, and see if we can change it. To get to the root of the problem, you can hire a coach to assist your team, to ask many right questions and once the problem has been found, to then teach yourself or your team the latest techniques and theories to overcome these problems. Or you can hire our team of horses for a day, who will give you and your team immediate, unfiltered feedback. 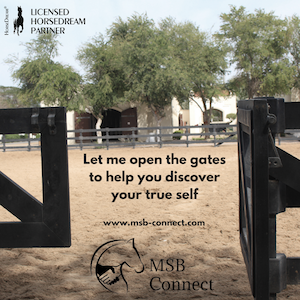 Our trainers will be there to help you interpret the language of the horses (in case this may be necessary), and to take you through a carefully designed set of practical exercises which will bring up any underlining issues you may have when it comes to motivation, communication, assertiveness and goal orientation. The concept is not to change you within in a day. Instead, we want to bring up unconscious behavioral patterns, within yourself and your team, so you become aware and can change what is necessary in your opinion - or, in other words, to let you find your own, personal stress relief tips, so that all this won't get to you as much anymore. Our horses, though very direct, will not offend you. We ensure that we create an atmosphere during these courses where everyone is open to experiment and grow. There is no right or wrong way to do the exercises, and there is never failure. Everyone will go home with their very personal learning. “I unconsciously have been knowing this since a long time. But today was a wake up call for me, and I know I need to take action now." Find out more about how the horses can help relief your stress at work and in private! Send us a what's app, call, email or contact us through Facebook to book your day with the horses.